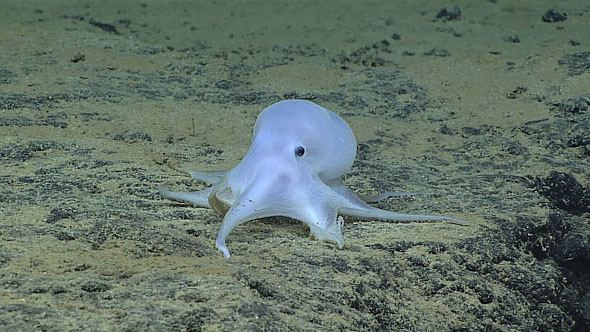 The scientists of NOAA has discovered a new species of octopus in the deep sea floor near Hawaii. The animal is named as "casper" by the researchers. Capser is the name of a popular friendly ghost character of children's cartoons. 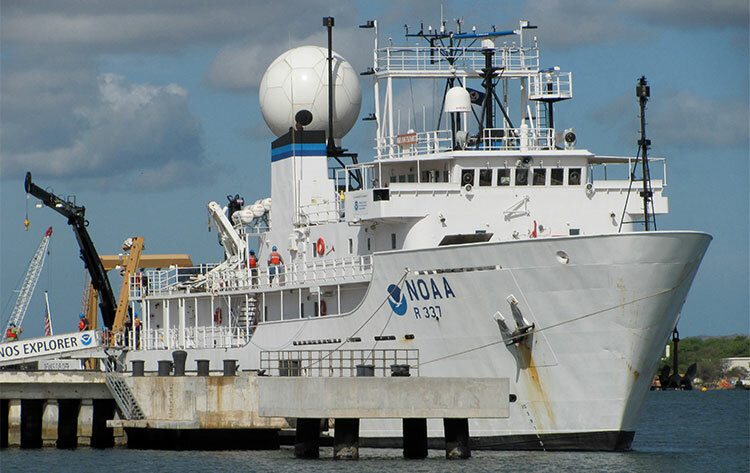 The scientists of NOAA (National Oceanic and Atmospheric Administration) of USA was studying the ocean floors near Hawaii for long time to find out more about them. Most of the deep ocean is yet to be explored and NOAA wants to discover the hidden secrets of that underworld. A ship named Okeanos Explorer is used for that purpose. A underwater research craft used by NOAA has spotted the octopus. It was in the sea floor at a depth of 4290 m or 2666 mi. There was a rock upon which the octopus sat alone. 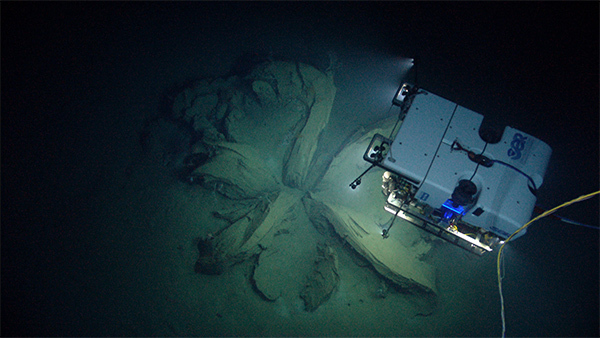 The ROV of NOAA called "Deep Discover" went to the octopus to get some photos and videos. The ROV was equipped with 20 LED lamps to illuminate the dark deep sea. It took some amazing photos of the animal. Sunlight never reaches there. 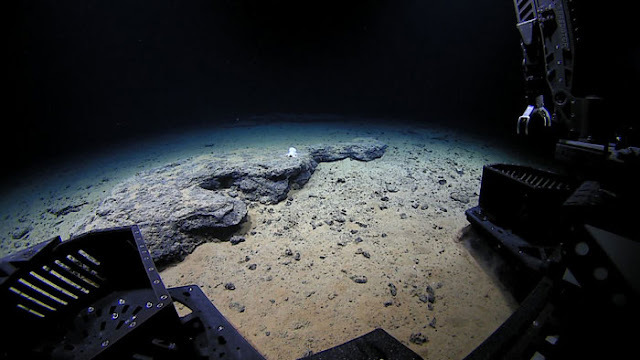 The temperature of the water down below that sea floor is very low. 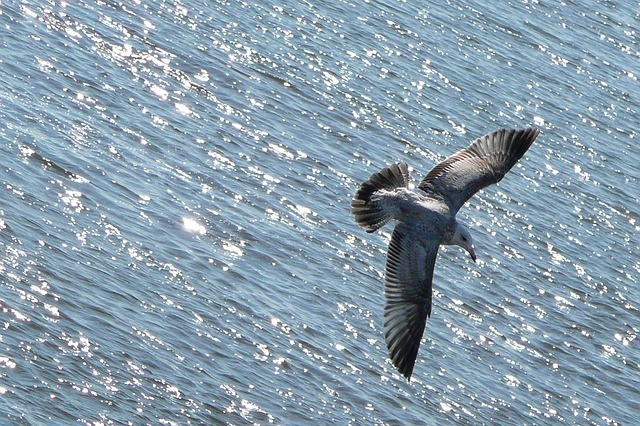 The atmosphere is not suitable for most marine animals. But there are special creatures evolved to suit the deep sea environments. We know that life always finds a way. The octopus that was spotted near nectar island has a pale skin complexion. All cephalopods (octopus, squid and cuttlefish) has special pigment cells known as chromatophores. But the ghostly octopus does not have any chromatophore. That explains the "ghostly" look. The animal has no fins. The muscles of the creature are also weaker than other cephalopods. It was the first time the scientists discovered an octopus so deep in the ocean. It is a new species. Probably it can be whole new genre. But we need more data and samples to find it for sure. Deep sea is an interesting place. One can expect to see something new very often there. So, you may get many such news of discovery of new species from the depth of the ocean in the near future.